The latest spin on ‘Russia stole the election’ is that Russia used Facebook to influence the election. The NPR women yesterday were breathless about it. The orchestrated hysteria over ‘Russian influence’ is even more absurd considering the reason Russia allegedly interfered in the election. Russia favored Trump because he was the peace candidate who promised to reduce the high tensions with Russia created by the Obama regime and its neocon nazis – Hillary Clinton, Victoria Nuland, Susan Rice, and Samantha Power. What’s wrong with Russia preferring a peace candidate over a war candidate? The American people themselves preferred the peace candidate. So Russia agreed with the electorate. 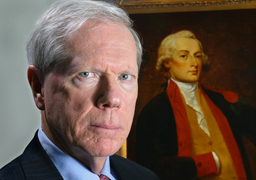 This post was published at Paul Craig Roberts on September 8, 2017.